A lack of qualified local labor forced Aphria to dispose of almost 14,000 cannabis plants in the quarter ended Aug. 31 after they weren’t harvested in time, costing it nearly $1 million. Since then, the company has doubled the staff at its Aphria One greenhouse thanks in part to Canada’s Seasonal Agriculture Worker Program, which has allowed it to hire about 50 temporary workers from the Caribbean and Guatemala with plans to bring in up to 100 more. There’s plenty of interested candidates, with Aurora getting between 200 to thousands of applications for each posting. 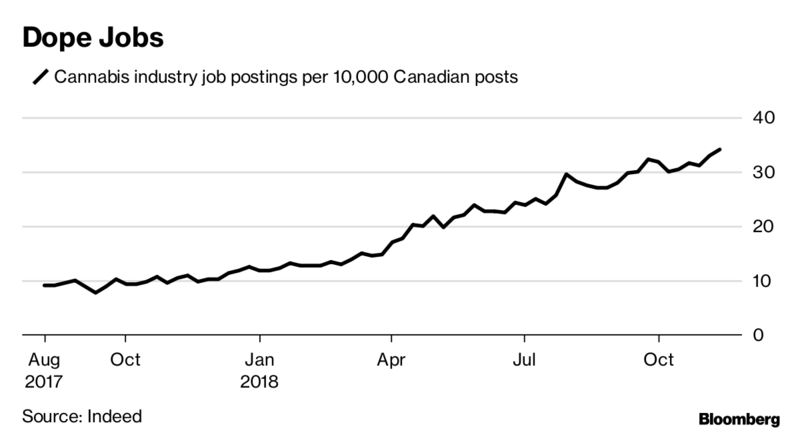 Competition for workers is fierce, with Canada’s jobless rate at a four-decades low of 5.8 per cent.